While the Quant Wizards and Financial Engineers on Wall Street are busy pumping stocks, the media is generally right there with them to get the pump going. 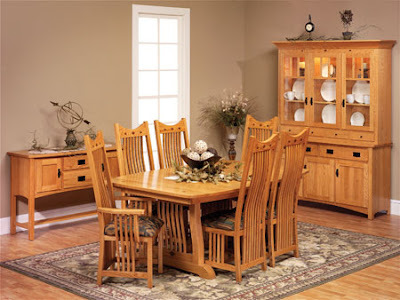 Always and forever “never been a better time to buy!” “Buy, buy, buy!” On credit, of course. Oops! I guess that despite the pumping, earnings in the real world have been plummeting while the market has been turning higher (huge rally, see that teenee tiny turn up following that HUGE cliff dive?). Uh huh. So the worst must be over for the REAL economy, right? I mean banks now get to mark their sliced and diced toxic waste derivative products to whatever value they feel is convenient and happens to maximize their bonuses, of course, yet their marking to fantasy is carefully balanced against the need to avoid reporting too high of earnings lest the citizenry respond with torches and pitchforks. I’m here to talk about motorcycles (vrooooom) which are a part of the REAL economy. You know, stuff that someone actually has to make, not just print out from a laser jet. No fluff here, no sir! No, Wait! 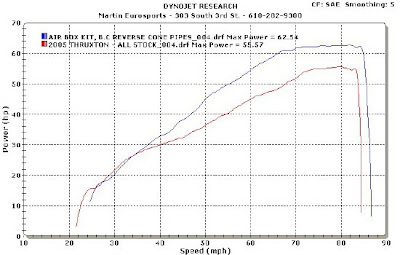 Ahhh, no, that is a chart of the dang dyno machine test of a bike that was obviously of inferior design! Sixty-two horsepower, give me a break. Must have been for a "modern" Harley. Did you know that Harley, just this year, began to offer Anti-skid breaking as an OPTION? How quaint. 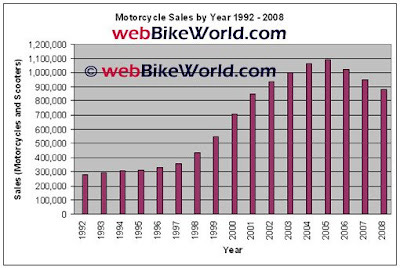 Here’s the chart I really wanted to show you, it’s a chart of U.S. motorcycle sales from 1992 through 2008. This chart is a typical exponential rise that went along with the Baby Boom generation for the greatest expansion of credit in the history of mankind! The only problem with charts like that is that on the backside of the parabolic rise there is usually a collapse with the back side of the curve much steeper than the front side. 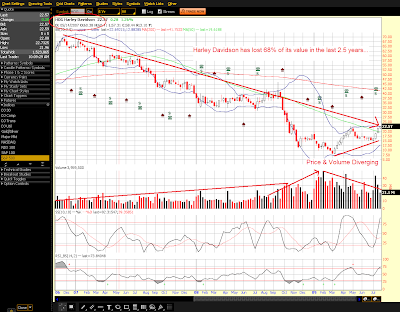 The numbers aren't looking good for the first six months of 2009 compared to the same time period in 2008. Sources tell us that street bike sales for the first two quarters of the 2009 year so far totaled 212,130, down 46% from the same time period in 2008. Dual sport sales are down 47%; off-road motorcycle sales down 37% and scooter sales are down a whopping 67% from the first 6 months of 2008. Meanwhile, some numbers from Japan indicate motorcycle production in May 2009 was down 28,445 units or 40.9% of the May 2008 number of 69,626 units produced. Motorcycle exports from Japan in May 2009 totaled 33,845 units, down 28,203 units or 45.5% of May 2008 figure of 62,048 units. Just for comparison, Japanese automobile exports in May 2009 were 233,217 units, down 295,400 units or 55.9% from the May 2008 figure of 528,617 units. Overall sales down 47% year over year? Yowzaa! Now that’s cliff diving and would make that chart above look a whole lot worse. And the only reason it’s not down more to match actual profits, is that Warren Buffett via Berkshire Hathaway, invested $600 million in HOG back in February which helped to produce the bottom that you see coincident with the general market in the first part of March. Why would Buffett do that? Well, for starters he was able to charge a usurious 15% rate of interest that only Guido would formerly be involved with. And secondly, he’s getting old and his mind is obviously slipping. Thirdly, he’s never really ridden behind a HOG and watched the pieces vibrate off the machine! But he can be forgiven for that as he is also evidently unaware that the rise of Harley sales was largely based upon the image making ability of their marketing department who catered to a gluttonous bubble of Baby Boomers who were busy pulling their future incomes forward in time via the DEBT in which they were collectively swimming. This bubble of Boomers has PEAKED, as any thinking investor is well aware or any non-thinking investor who has read Damning Demographics would know. Speaking of demographics, it might surprise you to learn, according to webbikeworld, that 90% of new bike riders are male, 9% are female, and 1% are other! Surprise to me! Heck, I would have thought it the opposite because scrolling through the pictures of motorcycles on line, like I do, you will primarily find women in bikinis obviously enjoying their bikes! And remember that peak earnings/peak spending occurs statistically at the age of 48.5 here in the Somewhat United States. Not surprisingly, the largest segment of riders occurs at that same age range and declines steadily from there as they age. With the Baby Boom Generation now entering the backside of peak, what effect do you think that will have on sales going forward, Mr. Buffett? I guess he’s too busy working deals with Goldman and telling everyone to buy stocks. Maybe he’ll get back to us later, being the warm hearted protector of the masses he portrays on teevee. Anywho, I just thought I’d share a little piece of good economic news with you, the sheeple of these great Untied States. Well, anyone who’s ridden with me can tell you, I CAN’T RIDE 55! Sammy Hagar – I Can’t Drive 55!